A unique waterproof makeup for swimming, exercising or everyday perfection. Suitable for minor skin imperfections and discolorations, acne, age spots, vitiligo and sun spots. 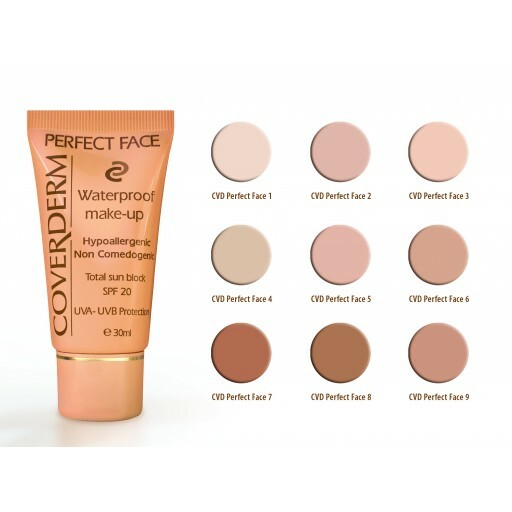 Perfect Face - the invisible coverage is a creamy, easily applied make-up ideal to hide away minor flaws and blemishes, pale complexion and uneven skin colour. It is also suitable for skin imperfections such as acne, couperose, vitiligo, faded angiomas, pregnancy mask, age and sun spots, pigmentation, freckles and facial redness. Perfect for acne and spots:clinical studies proved that Perfect Face is non-comedogenic, ideal to be safely used on acneic or acne-prone skin. 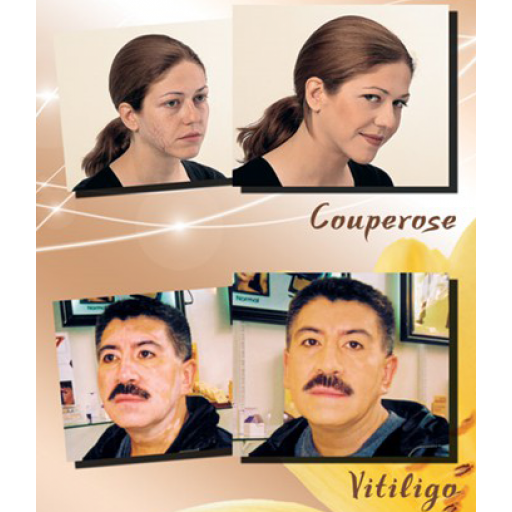 Perfect for any working woman that desires a makeup with a natural-looking effect that can last all day long. It does not irritate the skin and allows it to breathe. Perfect for everyday use by: actors, makeup artists, beauticians, entertainers, athletes, professionals that make public appearances. Perfect for special occasions: weddings, swimming, skiing, dancing, outdoor activities. I do not own credit card or paypal account. Very keen to purchase though. Where can i purchase this product in store in Sydney Australia? I have gone through countless products... this sounds like a dream product.. that i am ever so anxious to try!! Can i purchase this in a Sydney store in Australia? HOPE SO!! When you purchase from our website you have the option to pay by EFT or direct deposit intto our bank account. A small tube lasts a very long time. It gives great coverage to large sun spots on my face without feeling too waxy. 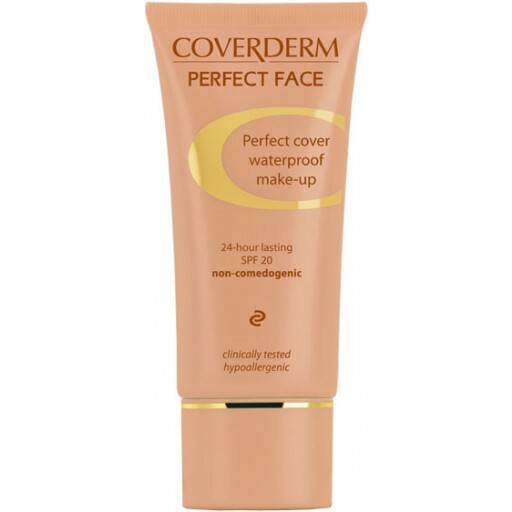 great makeup covers well and feels light on - does not sit in creases at 53 that's great ! This really is the best makeup i have ever purchased. 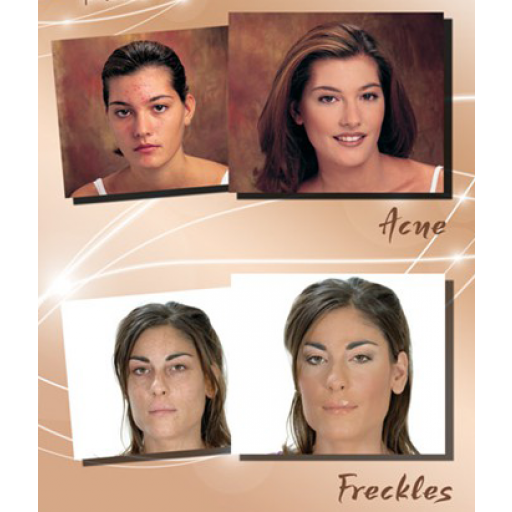 It covers marks and spots perfectly better than any other foundation. So glad i found this product I will now only use coverderm.. Definitely recommend this if you have marks/spots you would like covered or even just to give your skin a flawless look.. amazing.